Portland, MAINE — Avesta Housing has released its Affordable Housing Activity Report for the first three quarters of 2017. 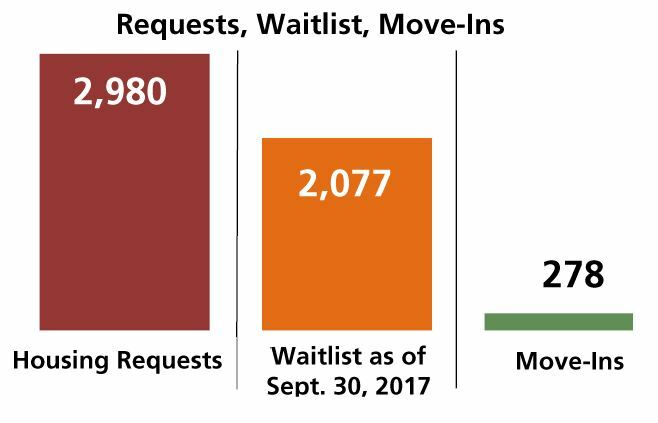 The monthly requests for affordable housing that Avesta receives have increased nearly 30% since 2014. The entire Affordable Housing Activity Report can be found on Avesta’s website, in the Our News and Statistics section. The Affordable Housing Activity Report is a tool Avesta developed to provide key information about the local demand for affordable homes. Avesta tracks this data in a comprehensive way to better understand the region’s housing needs and the best ways to address them. Avesta Housing is a nonprofit affordable housing provider with over 40 years of experience as a leader in affordable housing development and property management in southern Maine and New Hampshire. The organization is headquartered in Portland, Maine and currently has more than 80 properties and 2,400 apartments in its portfolio. Avesta’s mission is to improve lives and strengthen communities by promoting and providing quality affordable homes for people in need. Its five areas of focus are advocacy, development, property management, senior and assisted living, and home ownership.